FETA is autonomous institute under the Ministry of Livestock and Fisheries of the United Republic of Tanzania responsible for provision of education and training in aquaculture, fisheries technologies and management, applied research and consultancy in promoting sustainable development of fisheries and its allied industries. FETA has a number of tertiary technical institutions accredited by the National Council for Technical Education (NACTE) to provide technical education up to NTA Level 6 in Coast, Mwanza, Mtwara, Mara and Kigoma Regions. 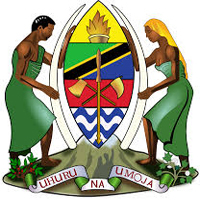 Tanzania Fisheries Research Institute (TAFIRI) was established by the Act of Parliament No. 6 of 1980 to promote, conduct, supervise, and co-ordinate fisheries research in Tanzania. The Institute is governed by the Board of Directors. This Institute is comprised of four Centre’s and one Substation: Mwanza Centre and Sota Substation on Lake Victoria, Kigoma Centre on Lake Tanganyika, Kyela Centre on Lake Nyasa and Dar es Salaam Centre on the Indian Ocean. The Institute Headquarters is located at Kunduchi in Dar es Salaam. The State Mining Corporation (STAMICO) is a state-owned enterprise established in 1972 under the Public Corporation Act, 1969 with a mandate of developing mining industry on behalf of Government of Tanzania. STAMICO was revived in 2014 to oversee Government interests in large scale mines, invest in the mining sector through mineral prospecting, development and operate mines, mineral trading, value addition, providing services in management of mines, drilling, consultancy support to small scale mining and other related business. The Small Industries Development Organization is a Parastatal Organization established by an act of Parliament No. 28 in 1973 to plan, Co-ordinate, Promote and Offer a variety of services to Small and Medium Enterprises (SMEs). Muhimbili National Hospital (MNH) was established in November, 2004 with mandate to provide effective, efficient and high quality tertiary specialist and super specialist medical services for referred patients for all areas of Tanzania, while providing conducive environment for training and research. The Hospital attends between 1200- 1600 in patients and between 1200-1500 outpatients and it have a total of 1,503 beds. A signed application letters should be written either in Swahili or English and Addressed to Secretary,Presidents Office, Public Service Recruitment Secretariat, 27 BibiTiti Mohammed Road,P.O. Box 63100, Maktaba Complex, 11102 Dar Es Salaam.